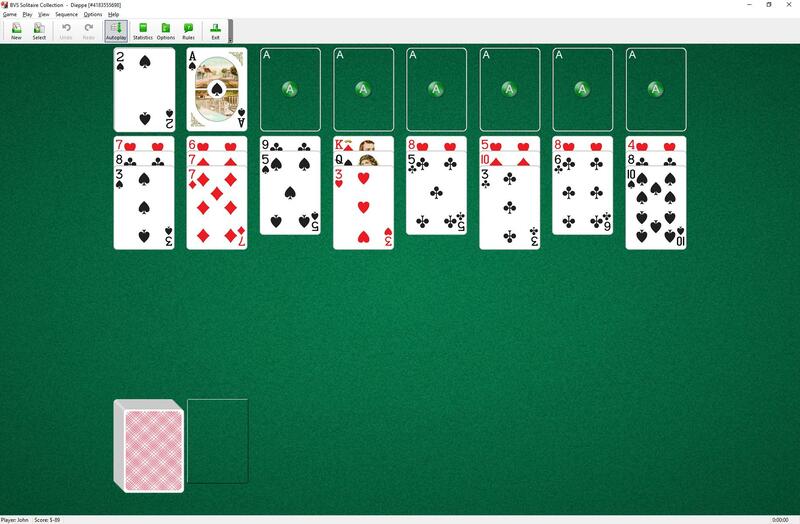 Dieppe Solitaire uses 104 cards (2 decks). You have 8 tableau piles with three cards per pile and 8 foundations. Aces are moved to the foundations as they become available. After dealing the first row all suitable cards are automatically moved to foundations. Then all gaps are filled from the stock pile and the second row is dealt. All suitable cards are moved to foundations again. Then all gaps are filled and the third row is dealt.